When thirteen-year-old Erin Dearlove has to move in with her aunt on Cape Town’s bustling Long Street, she struggles to adapt to her new life, harbouring a dark secret. But her friendship with their upstairs neighbour, Mr Devilskein, soon helps her to adjust. Like Erin, Mr Devilskein has something to hide: he is the keeper of six mysterious doors. He entrusts Erin with the key for one of these doors, and she discovers that they lead to infinite magical worlds. In wonder she explores an underwater paradise, the lost works of William Shakespeare, and a beautiful Chinese garden. During her adventures she meets a prisoner names Julius Monk, but Julius is not all he appears to be. The captive and his Book of Dooms prove dangerously enticing, and soon it is up to Erin to save the lives of those she’s grown to love. 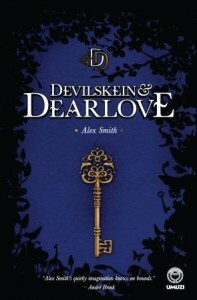 Devilskein & Dearlove is as sinister and intriguing as it is quirky and colourful. With inimitable storytelling flair, Alex Smith weaves an enchanting tale of friendship, adventure and magic. Alex Smith is the author of Algeria’s Way, Four Drunk Beauties, Agency Blue and Drinking from the Dragon’s Well. Her writing has been short-listed for the SA Pen Literary Award and the Cain Prize for African writing, and has won a Sanlam Prize for Youth Literature and a Nielsen Booksellers’ Choice Award. She lives in Cape Town with her partner, their book-loving baby boy and their dogs. Hearing Helen, a tale about courage, determination and friendship,is an uplifting novel for young adults. Helen is desperate to escape from her run-down high school and to get into the Music Academy, but her piano teacher, Madame Pandora, will not hear of it. That’s not Helen’s only problem; life at home seems to revolve around her talented elder brother, her parents are too exhausted to notice her and the gorgeous Kean has eyes only for June, who is sickeningly perfect. 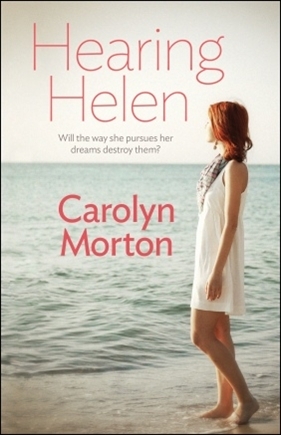 When Helen finally gets the chance to make her dreams come true, she realises that not all opportunities are meant to be taken. Which opportunities should she grab, which should she leave and what will her decisions cost those for whom she cares the most? Also available in Afrikaans as Om Helena te hoor. Carolyn Morton grew up in Cape Town and after school obtained a B.A. in English and Latin and a B.Phil. in Journalism at Stellenbosch University. More recently, she has completed her M.A. in Applied Linguistics, which focused on the writing of deaf children, a topic motivated by her own hearing loss. She is now living in Port Elizabeth with her husband and has been involved in teaching English and writing as well as doing some freelance editing and translating. Besides writing, she loves animals and reading (especially re-reading her favourite novels by Jane Austen and Georgette Heyer) and enjoys her teaching, going for walks with her husband and playing the piano. 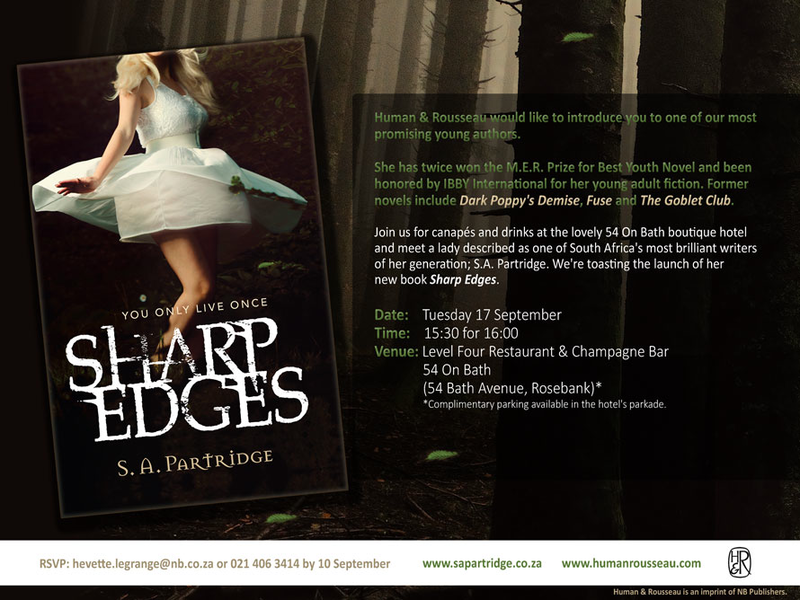 If you are a ‘young adult’ or have a young adult in your life, go along to the launch of S.A. Partridge’s book Sharp Edges, on the 17th of September ’13. Six friends attend a music festival in the Cederberg. Only five come back. For her seventeenth birthday Demi Cowley invites her five closest friends to join her at a music festival for a party to end all parties. But what was supposed to be the night of their lives soon becomes a nightmare none of them will ever forget. Sharp Edges is a topsy-turvy tale of love, loss and friendship that will stay with you long after the final page has been turned, and leaves you questioning what you really know about your friends. 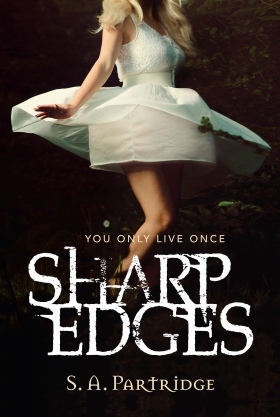 Sharp Edges is S.A. Partridge’s fourth novel for young adults. S.A. Partridge is a young adult novelist from Cape Town whose first novel, The Goblet Club, won the English category in the You/Huisgenoot I am a Writer competition in 2007 as well as the MER Youth Prize at the M-Net Via Afrika Awards in 2008. Her critically-acclaimed style of writing is so popular with the South African youth that it was adapted into a school play entitled Gif. 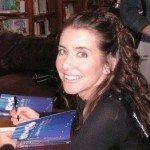 Her second novel Fuse was published in 2009. Fuse was chosen as IBBY (International Board on Books for Young People) South Africa’s English nomination for the IBBY International Honour Roll 2012. Set in Cape Town, South Africa, Seekers of the Lost Boy is an adventure that brings a homeschooling family face to face with the atrocities of their apartheid past. It begins when 12-year-old Simon finds a bottle on the water’s edge during a visit to Muizenberg beach on a cold winter’s day. He brings the bottle home, dreaming of adventures, pirates and hidden treasures, only to have the bottle shatter within minutes of returning home. At first he is dismayed, but his disappointment is soon turned to intrigue when he discovers an envelope in the bottle. It contains a letter written 30 years prior by another 12-year-old school boy from the poverty-stricken Cape Flats. The letter is brief and contains one question: Who is God and does he care about me? The letter fascinates the Ward family, so they embark on a journey of discovery. Through clues left in the letter, Simon, his mom and his twin 10-year-old siblings, Nic and Kim, find themselves revisiting their country’s apartheid past as they search for their mystery letter-writer. Taryn Hayes lives in Cape Town, South Africa with her husband, Craig and their four children. The bulk of her days involves mothering and teaching the kids, using an eclectic mix of homeschooling materials and a little bit of neglect! Thanks to the excellent books Taryn and her children have been exposed to through their literature-based homeschooling experience, Taryn‘s future dreams of writing stories became a very present-day reality in 2013. 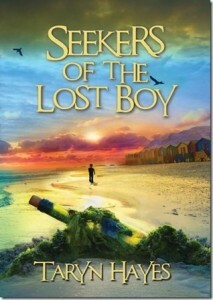 Seekers of the Lost Boy is Taryn‘s first youth novel. It is the first of a planned series where adventure meets historical exploration and big questions of faith are addressed. Watch an interview with Taryn HERE and see what she has to say about the book. Is falling in love the beginning, or is it the end? 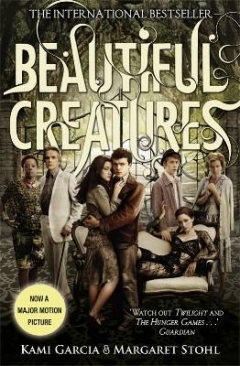 Beautiful Creatures is a young adult novel written by authors Kami Garcia and Margaret Stohl, and the first book in the Caster Chronicles series. The movie adaptation has just been released in South African cinemas and stars Emma Thompson, Jeremy Irons, Alice Englert and Alden Ehrenreich. Click HERE to watch the official move trailer. Lena Duchannes is unlike anyone the small Southern town of Gatlin has ever seen, and she’s struggling to conceal her power and a curse that has haunted her family for generations. But even within the overgrown gardens, murky swamps and crumbling graveyards of the forgotten South, a secret cannot stay hidden forever. Ethan Wate, who has been counting the months until he can escape from Gatlin, is haunted by dreams of a beautiful girl he has never met. When Lena moves into the town’s oldest and most infamous plantation, Ethan is inexplicably drawn to her and determined to uncover the connection between them. In a town with no surprises, one secret could change everything. Lena and Ethan become bound together by a deep, powerful love. But Lena is cursed and on her sixteenth birthday, her fate will be decided. I really like this initiative by Paperight! They are putting together the first Paperight Young Writers Anthology – high school learners from around South Africa are invited to submit their original short stories, essays, poetry and black-and-white illustrations for inclusion in this collection. If you are a high school teacher, or know of teenagers who love to write, please make them aware of this. The closing date for entries is Friday, the 8th of March 2013. Click HERE to visit Paperight’s website and view their submission guidelines. This morning I had the pleasure of meeting South African film maker, and author, Brett Michael Innes. 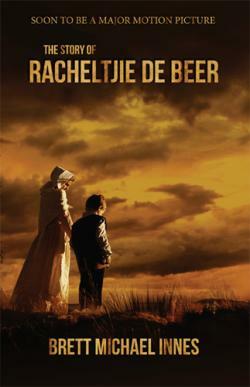 Brett’s rendition of The Story of Racheltjie de Beer (which is also available in Afrikaans – Die Verhaal van Racheltjie de Beer) was published by Naledi in August 2012. The story of Racheltjie captured many of our imaginations when we learnt about her during our school days. And tonight I shall dive into my copy that Brett gave me (thanks Brett!). You can view the book trailer HERE. The cast auditions have begun for the film adaptation and Nostalgia Productions (Brett’s film company) begins shooting the movie in May, with the film coming to South African cinemas at the end of February 2014. Very exciting! 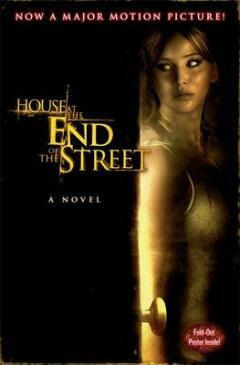 For fans of young adult fiction, the film adaptation of House at the End of the Street releases in cinemas this weekend. The movie stars Jennifer Lawrence, the actress from The Hunger Games, and Elizabeth Shue. 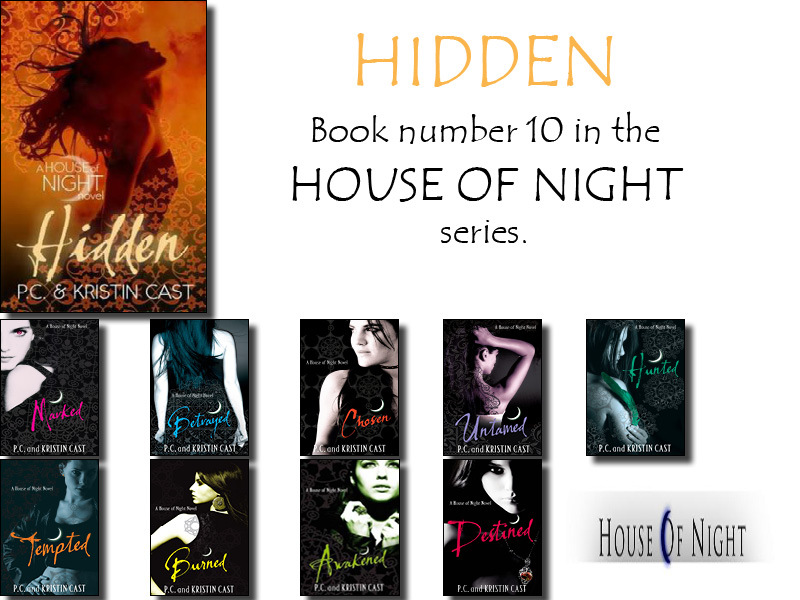 An alert to all readers of young adult novels, and those with young adults in the house – book 10 of the House of Night series, HIDDEN, releases in the next few days. House of Night is a thrillingly engaging book series that follows 16-year-old Zoey Redbird, who gets ‘marked’ by a vampyre tracker and begins to undergo the ‘change’ into an actual vampyre. She has to leave her family and move into the House of Night, a boarding school for other fledglings like her. It’s within the school’s walls that the heart of the action takes place as Zoey meets new friends, finds love, comes to terms with how her life will be different now and begins to realise her awesome new powers. Here’s the deal though: Yes, Zoey’s a vampyre now. But she’s still a teenager – with all the humour, angst and confusing feelings any other teenager has.